Saving for retirement can be surprisingly easy if you make just a few savvy decisions — and avoid just a few stupid mistakes. Indeed, you can be more successful than you ever imagined just by knowing our 10 secrets to retirement savings. Start by accepting the harsh reality of do-it-yourself retirement. Corporate pensions are going away. Government programs guarantee little more than an impoverished old age. Building enough wealth to support yourself later in life has become a career-long task that starts the first day of your first job and doesn't end until your final day of work. Now let's look at the secrets that will help you accomplish that. Secret 1. Don't be discouraged by how much you need. Ideally, you'll need enough savings to replace at least 60%, and preferably 80%, of your pre-retirement income. Our retirement calculator shows how much you'd need to generate that much purely though savings. The number will be shocking. Let's say, for example, that you make $65,000 a year and want to retire about 30 years from now and replace 70% of your income for 25 years. The retirement calculator says you'll need about $2 million — a daunting goal for almost anyone to reach. Even if you can't possibly save as much as a retirement calculator says you'll need, the more you have, the better off you'll be. So think of your goal more as motivation than an all-or-nothing destination. 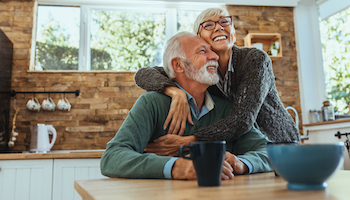 Wes Moss, managing partner at Capital Investment Advisors in Atlanta, Georgia, surveyed 1,350 retirees and found that the average amount a person needs for a "happy" retirement is much less — about $500,000. We know that still sounds like a lot. Only 4 percent of workers, and 38 percent of workers over 55, reported savings of $250,000 or more in surveys by the Employee Benefit Research Institute. But with a little effort, it's a meaningful and attainable goal. Defined-contribution retirement plans allow your savings to grow tax-free, and it's virtually impossible to reach any goal if you don't take full advantage of that. This is one of the two biggest tax breaks the government offers middle-income Americans, right up there with the mortgage interest deduction. Many employers also match all or part of your contributions, another big boost you simply can't ignore. The match is essentially free money, so you should contribute at least enough to maximize that match. Our 7 rules for a successful 401(k) can help you make all of the right decisions. If you don't work somewhere that offers a 401(k) account, you should go to a mutual fund company, stockbroker or even your local bank to open an IRA. Whether you choose a traditional or Roth IRA, the advantage is the same as for a 401(k) — your earnings can grow tax-free. In 2019, you can contribute up to $6,000 per year (or $7,000 if you're 50 or older) to a traditional or Roth IRA. Many savers can contribute to a 401(k) and IRA in the same year. Check with the person you choose to manage your IRA. Secret 4. Set aside as much as you possibly can. You can do everything else right, but if you don't save as much as you can every year, you're selling yourself short. It's OK to start small, contributing 2% or 3% of your pretax income to a 401(k) plan. But you've got to be realistic. To achieve a reasonable level of financial security, workers in their 30s and 40s must consistently contribute between 10% and 15% of their pay to their retirement plans. It requires a plan to boost your savings by one percentage point every six to 12 months — and stick to it. If you devote just another $100 a month to your retirement plan and average a 6% return, you'll have an additional $100,000 in 30 years. 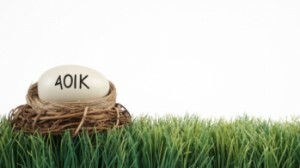 Our 401(k) calculator shows how your nest egg will grow based on your contributions. You may very well be terrified of the stock market. After the extraordinary volatility of the past 20 years, we don't blame you. But it's almost impossible to succeed at do-it-yourself retirement without taking that risk. We can't guarantee that you'll earn a big enough return with stocks to reach your goal. But we can absolutely guarantee that you won't earn enough with any other type of investment to get there. You'll need an average return of 7% or 8% a year to succeed, and stocks are the only type of investment that's posted such lucrative returns over an extended period. Playing it safe by putting your money in certificates of deposit or money market funds that pay 1% or 2% a year won't cut it. You have to think long-term and not worry about the never-ending financial and economic crises that move the market every day. RATE SEARCH: Shop savings and money market account rates. Secret 6. ... By putting your money in target-date funds. If you've never invested in the stock market before, it's hard to know where to put your money. Pick a single target-date mutual fund and stick with it. Many financial advisers will tell you that's the smartest investment most savers can make. These funds buy a diverse and regularly revised portfolio of stocks and bonds that takes into account where you are in life and when you plan to retire — your "target date." Virtually every 401(k) plan now offers target-date funds, and 2 out of 5 participants have bought them. Click here to learn the 5 things you should know about target-date funds. Secret 7. The first $100,000 is the hardest to save. When you're just starting out, contributions account for most of the growth in your retirement funds. The longer you keep at it and the larger your nest egg becomes, the more you'll earn from capital gains, dividends and interest. Let's say you want your retirement savings to grow by $40,000 over the next year, and you earn a solid 8% annual return on your investments during that time. If you start off with a modest $50,000 portfolio, you'll only make about $6,500 over the entire year from your investments and will need to add $2,880 a month from your paycheck. But if you begin with a $400,000 portfolio, you'll make something like $32,800 from your investments and only need to add about $600 a month from your job to enjoy the same growth. Our savings goal calculator will show you exactly how much you must contribute to your retirement accounts to build the nest egg you want. Secret 8. Never cash out a 401(k) when you change jobs. Nearly half of all workers cash out their 401(k) when they change jobs. They not only have to pay taxes on the money but a 10% penalty to the IRS. This is the single biggest wealth-killing mistake many workers will make in their entire careers. If you have $10,000 in your 401(k) that you've been building up for years and just cash out, you might be lucky to walk away with $7,500. You need to roll your retirement savings into an IRA or a 401(k) plan at a new employer to have any chance of saving that first $100,000. Secret 9. Think of Social Security as gravy. Social Security is one of the most popular government programs in history, and it will probably be there for you, even if you're in your 30s — or even your 20s. But it's impossible to predict how changes to benefit formulas, the cost-of-living adjustment and retirement age might affect future benefits. What we do know is that the average monthly retirement check was only $1,461 in January 2019, according to the Social Security Administration — and that's not much. Plan on using Social Security as a secondary source of income that can make up for shortfalls in your savings. Secret 10. Use windfalls wisely. At some point in your life, you're likely to get a financial windfall of some kind. It could be a small inheritance, an unexpected bonus at work or a modest payout on a lottery ticket. If you spend it, that $10,000 or $20,000 isn't going to make much of an impact on your life. But that money can provide a major boost to your savings. This is one of the few ways you have to make up for all of those years when you couldn't — or wouldn't — contribute as much as you should have to your IRA or 401(k) or other investment accounts. Think of it as a real-life "get out of jail free" card.